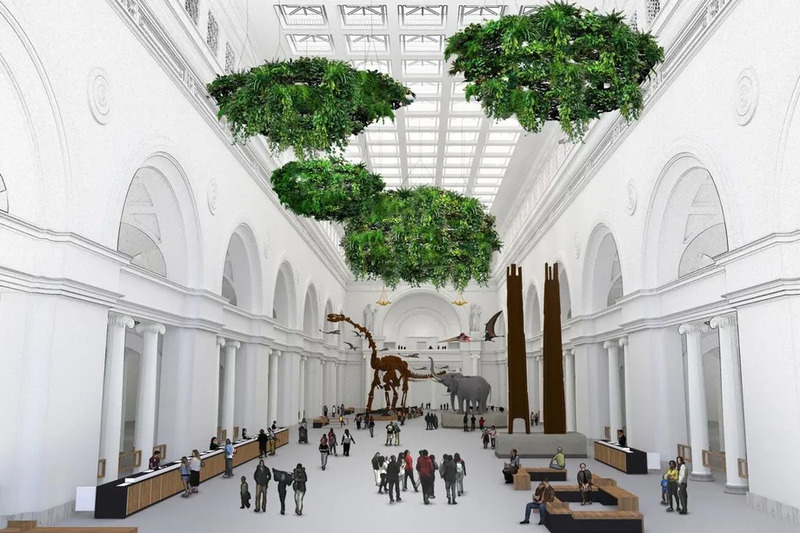 The Field Museum’s stately marble hall is about to get a lot more wild. Later this year, the skylit vaulted ceilings of Stanley Hall will be overtaken by a flock of flying reptiles and hanging gardens containing over 1,000 live plants that thrived alongside dinosaurs. These additions accompany a soon-to-be unveiled model of a titanosaur species, the largest dinosaur discovered so far, that will eat up a third of the central hall. Seems like a good shot in the arm for Field Museum and fear not - the popular T-Rex Sue isn't leaving the museum. She's being moved upstairs.